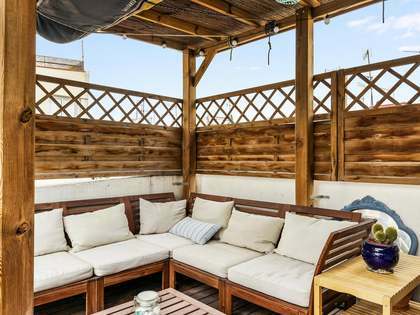 Charming penthouse with abundant light with turn-of-the-century period features and a terrace, located on a peaceful street very close to Passeig Sant Joan, Traveserra de Gracia and Joanic. 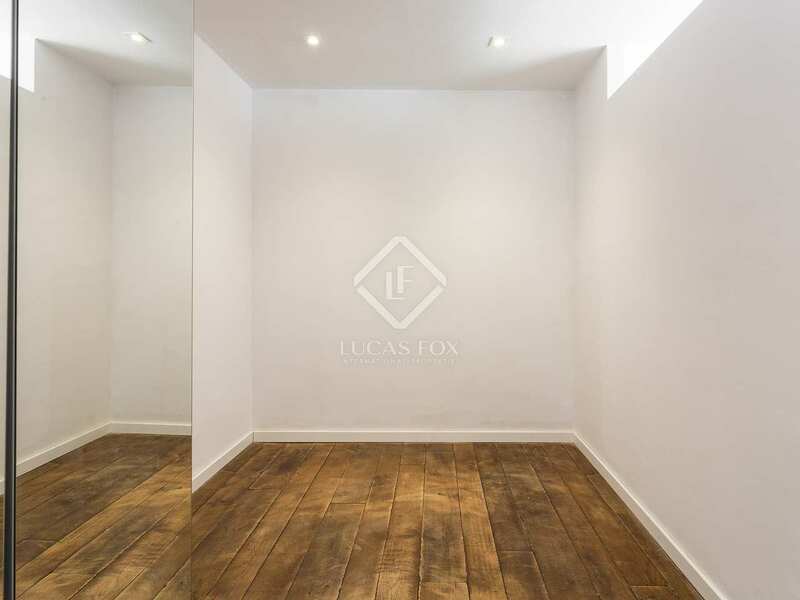 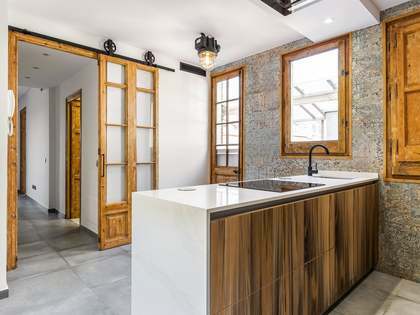 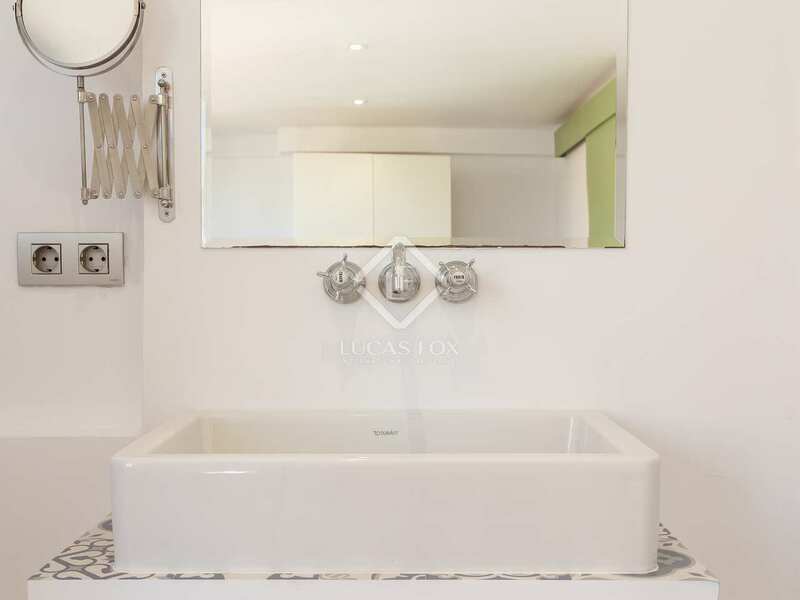 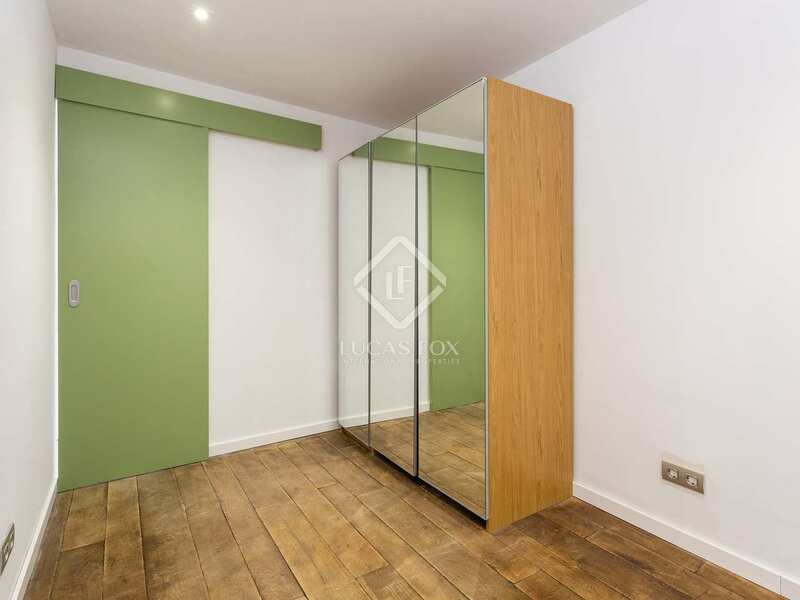 Lovely penthouse property on a quiet street in the Gracia neighbourhood in an early twentieth century building without a lift. 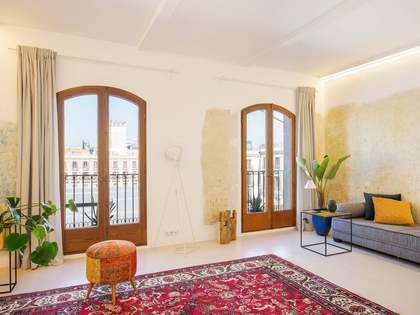 The property was partially renovated in 2001 with a lot of style and charm, maintaining some original features and combining them with more modern elements. 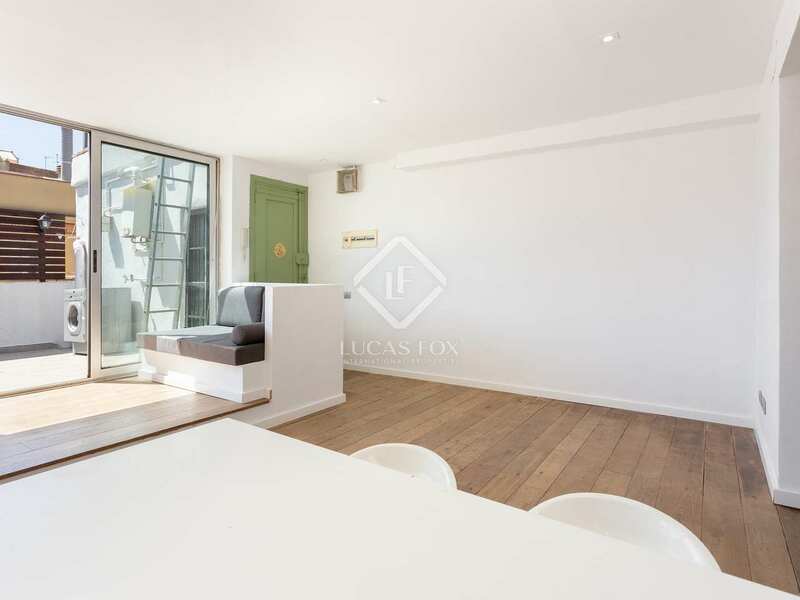 It is entirely outward facing and situated on a corner, so it enjoys plenty of natural light and a comfortable open plan layout. On entering we find the living room – dining room and kitchen which opens up to a sunny south-facing terrace of 15 m². 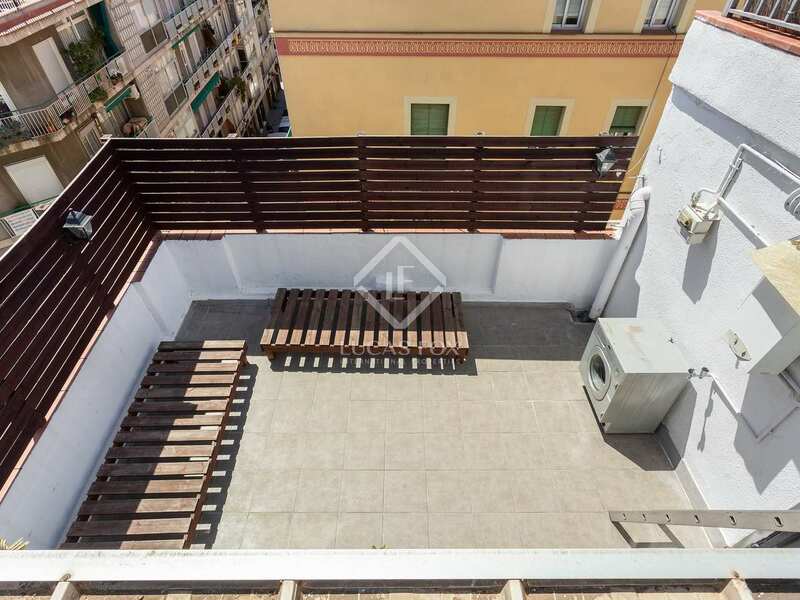 This terrace could be connected to another upper terrace by installing some stairs. 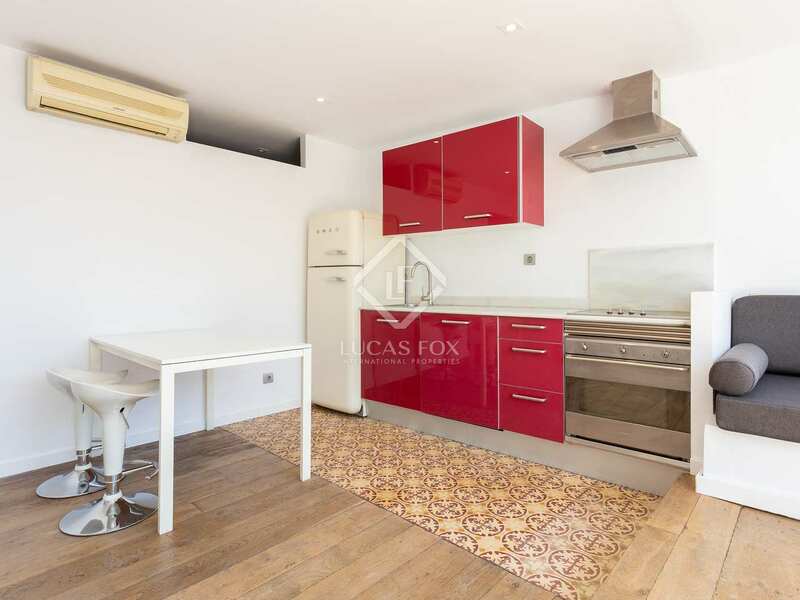 The kitchen area features Smeg appliances and authentic mosaic floor tiles and the living area has the original wooden floor panels and Ibiza style built in sofas. 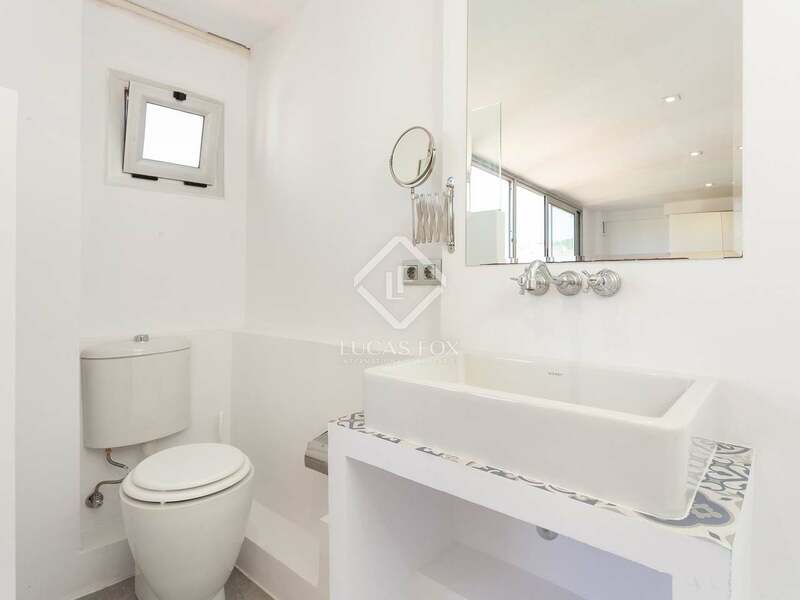 Along a corridor we find a complete bathroom to the left and a secondary bedroom to the right which is ventilated via the living room. Moving on we find the master bedroom with a private bathroom and a sliding window the whole way along the wall with views of Tibidabo. 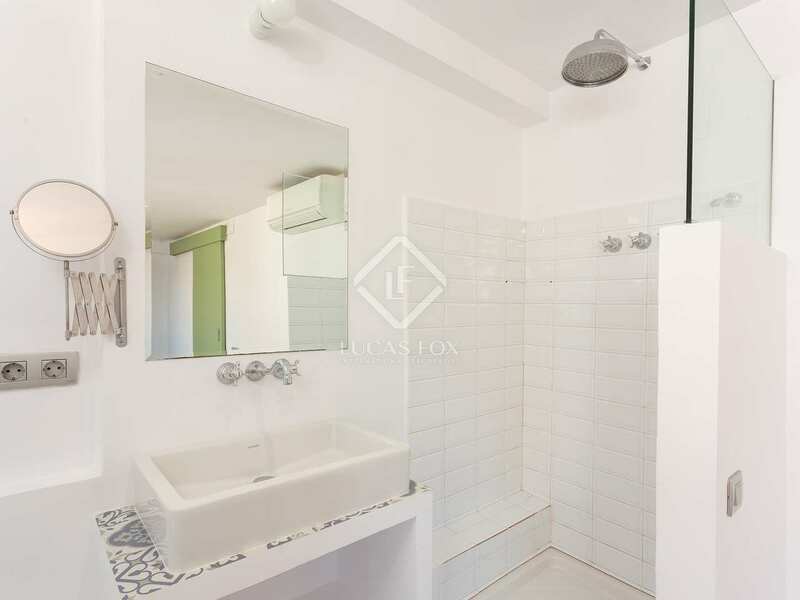 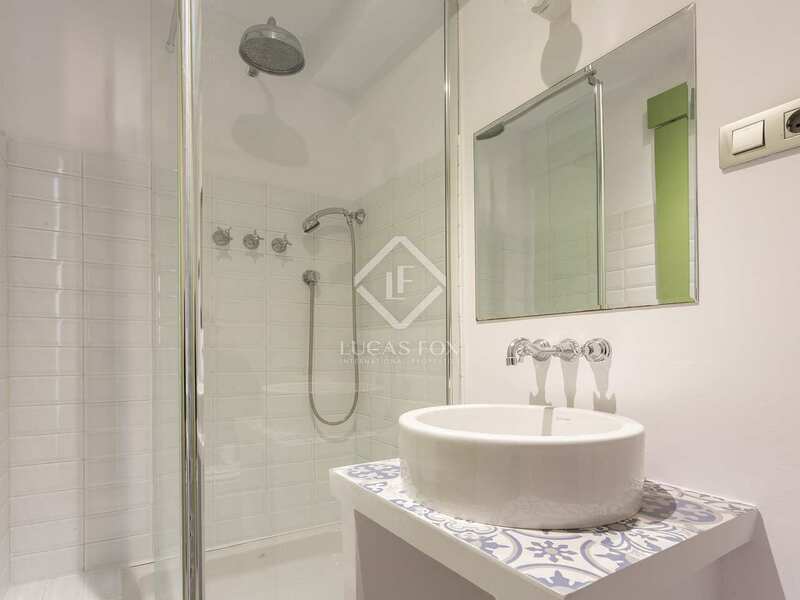 Both of the bathrooms in this apartment have showers and beautiful hand-picked finishes. 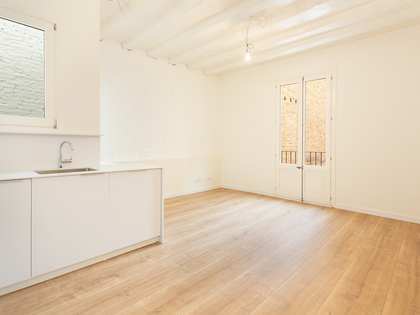 The apartment benefits from air conditioning and heating and is an ideal home or pied-a-terre for a couple. 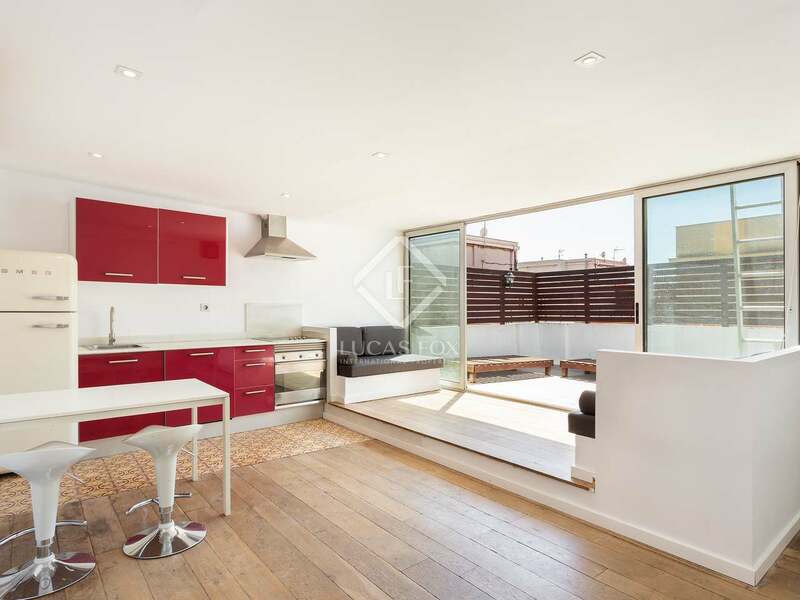 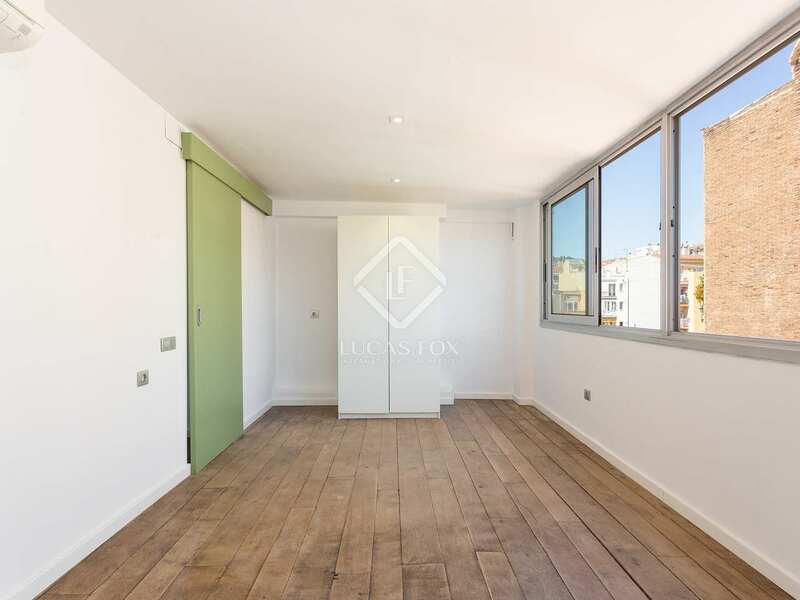 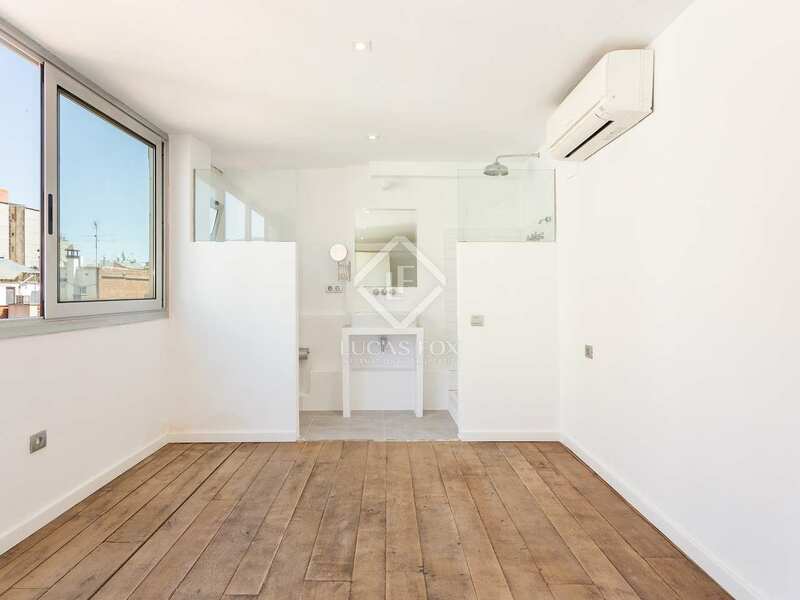 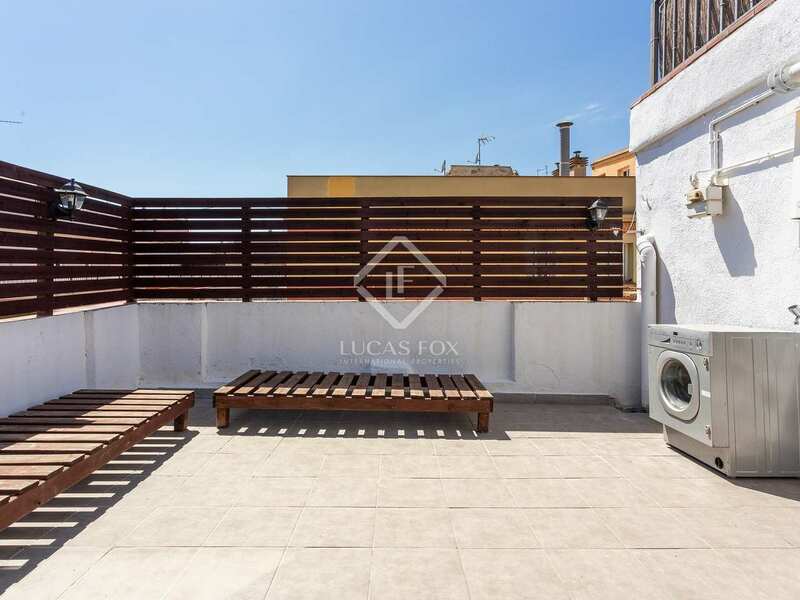 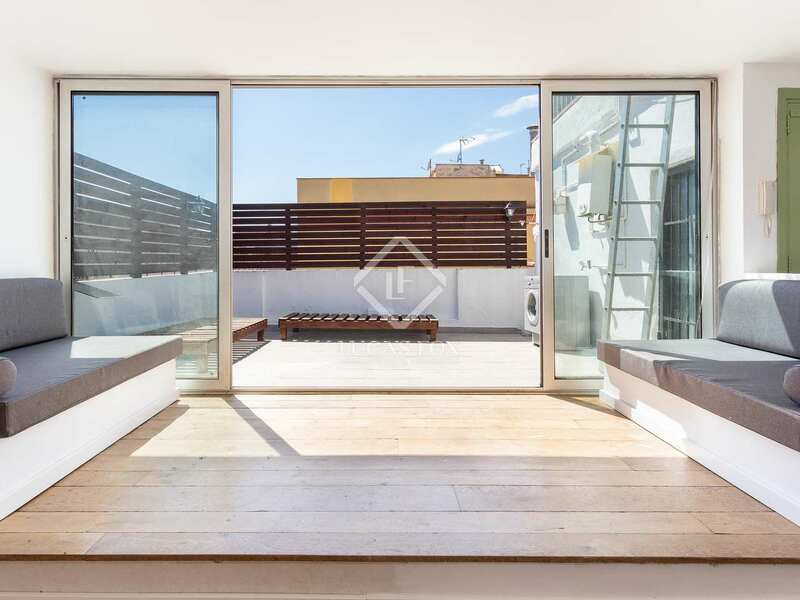 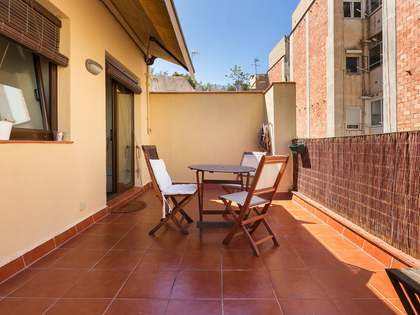 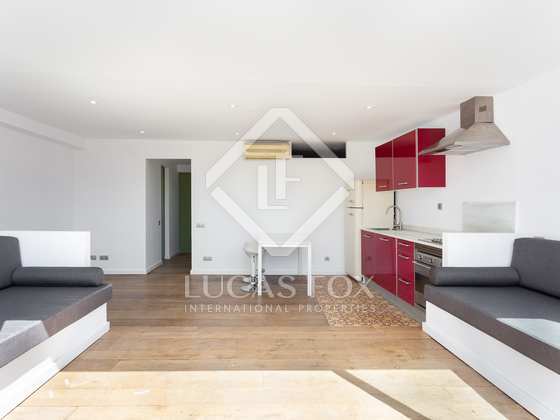 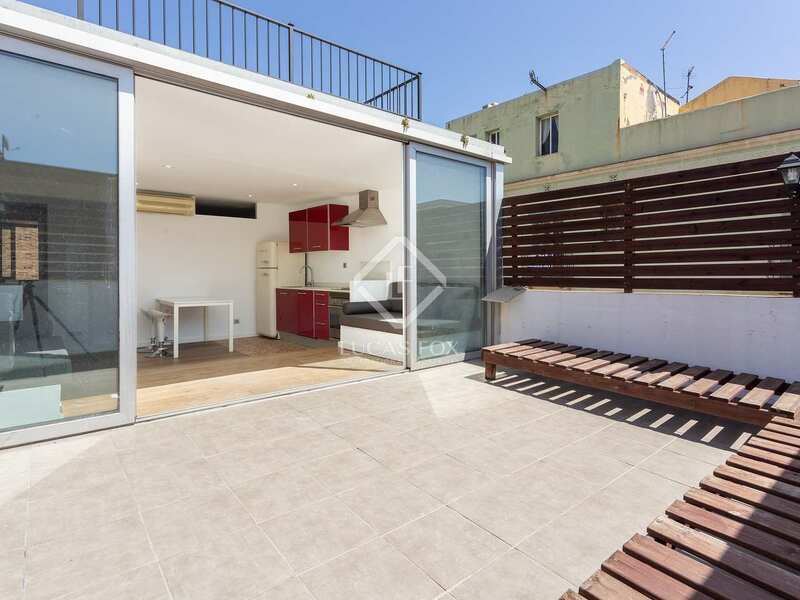 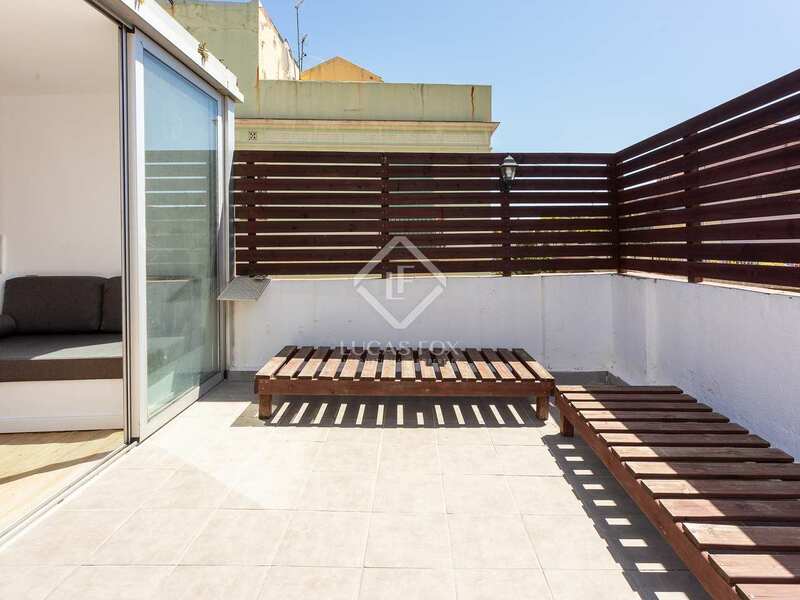 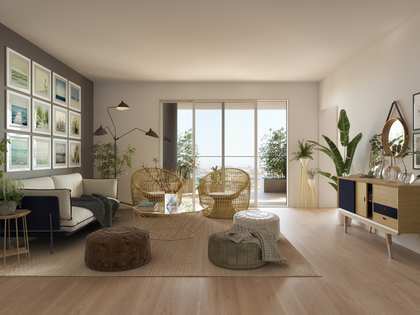 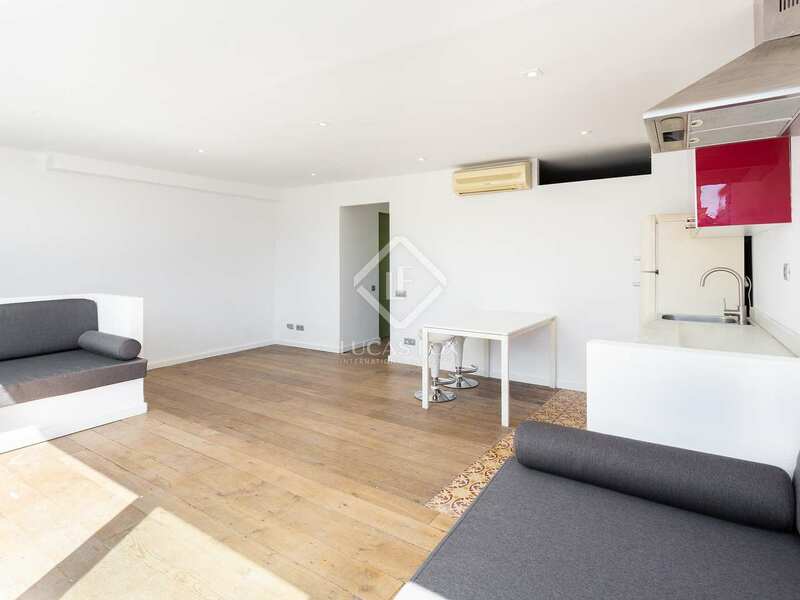 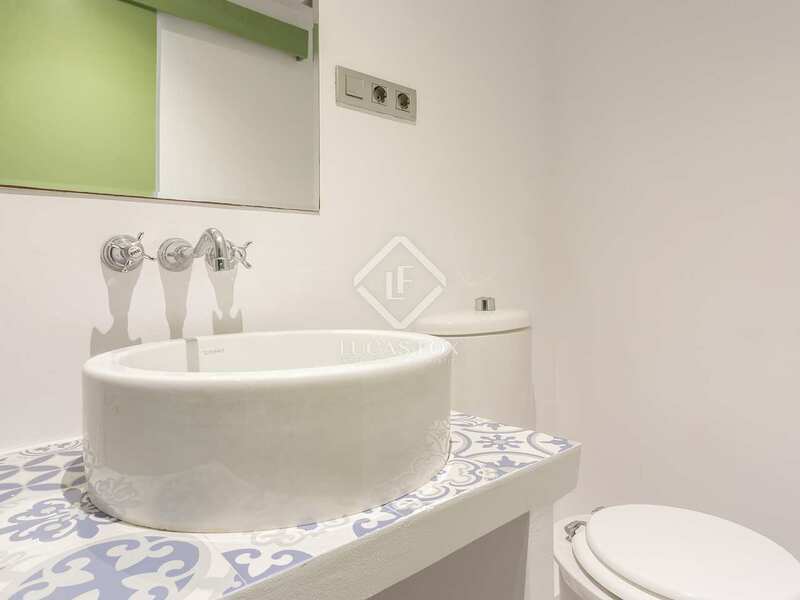 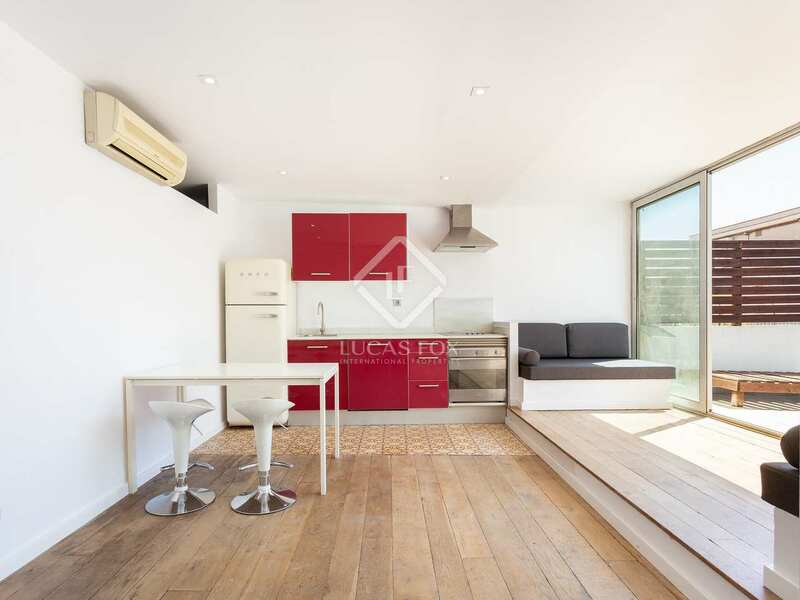 Penthouse located on a peaceful street very close to Passeig Sant Joan, Traveserra de Gracia and Joanic. 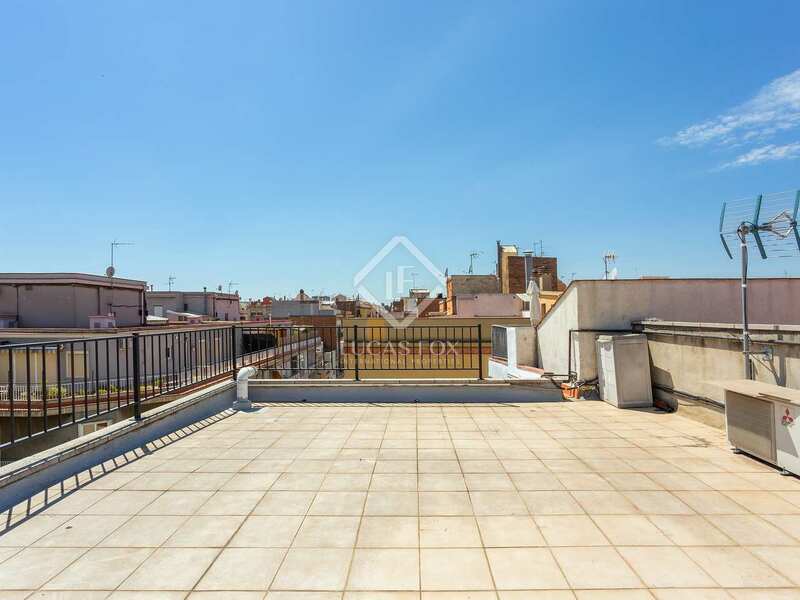 The Abecería Market is very nearby.